CBD hemp oil is a concentrated oil extracted from the cannabis plant, a genus of flowering plants in the family Cannabaceae also known as marijuana. The acronym CBD stands for cannabidiol one of the many compounds extracted from the cannabis plant discovered in 1940 and initially thought not to be pharmaceutically active. Unlike delta-9 tetrahydrocannabinol (THC), CBD does not produce any psychoactive effects. CBD oil does however appear to produce significant changes in the body, and some research suggest that it has potential therapeutic and medical benefits. Unlike the Tetrahydrocannabinol (THC) which triggers your brain to release large quantities of dopamine a naturally occurring feel good chemical that is responsible for the pleasant high and heighten sensory perception you feel when you take cannabis, the body reacts quite differently when pure CBD oil is introduced into the system . Our bodies naturally produce a cannabis-type chemical known as anandamide, (the bliss molecule). Cannabidiol (CBD) exerts its effect by elevating the levels of your own endocannabinoid without producing any mind altering or psychoactive effects. Once the CBD oil gain entrance into the bloodstream it sends signals to the body’s many endocannabinoid receptors. The oil has an indirect effect on the CB1 receptors, which results in the stoppage of the enzymatic breakdown of anandamide, allowing it to stay for longer periods in the body . Cannabis use and other related drug abuse cases is overseen by the National Drug Law Enforcement Agency (NDLEA) in collaboration with the U.S government to combat narcotic trafficking in West Africa. The possession of cannabis is considered illegal and is punishable by a minimum jail sentence of 12 years. In serious trafficking cases, life imprisonment may be imposed. Nigeria ranked as the world’s eight highest consumer of the drug marijuana and a major source of West African-grown marijuana even though drug is illegal in the country. At the height of the cannabis war in Nigeria ,the Indian Hemp(Amendment) Decree, and the Special Tribunal(Miscellaneous Offences) Decree No. 20 of 1984 enacted by the regime of Major General Mohammed Buhari prescribed death penalty for illicit traffic in narcotics drugs. However, the Special Tribunal (Miscellaneous Offences) (Amendment) Decree of 1986 replaced the death penalty with life imprisonment, and the National Drug Law Enforcement Agency Decree NO 48 of 1989 (as amended by Decree No.33 of 1990, Decree No 15 of 1992 and Decree No. 62 of 1999) all of which harmonized as Cap. N30 Laws of the Federation of Nigeria(LFN) 2004 that established the NDLEA, enacted by the regime of General Ibrahim Babangida. Although the country is highly religious, cannabis has no religious or medical use in Nigeria. However, the CBD oil and related products imports are allowed into the country and the top online retail outlet such as Jumia, Jiji and konga freely sell CBD containing products to consumers. Most Nigerians use CBD and hemps products for beauty purposes such as hair growth and skin care. Currently, CBD Oil vaping is not popular in Nigeria but the emergence of shisha joints has increased the recreational use of CBD vape oil in big cities across the country. 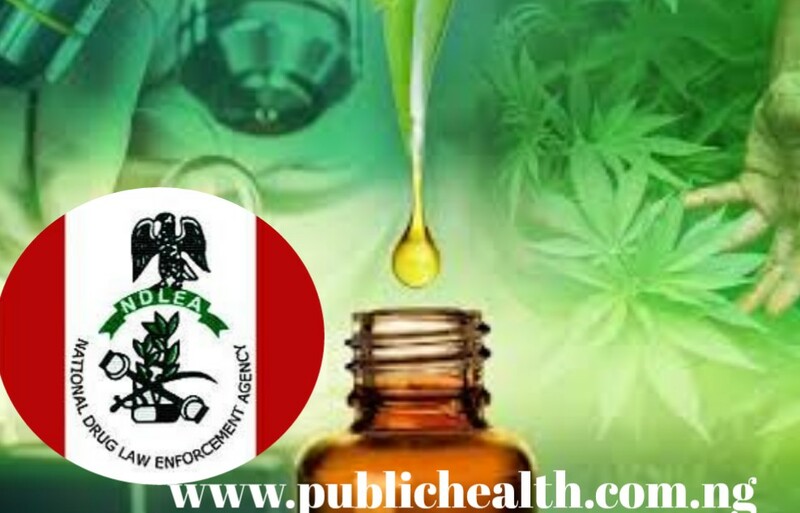 The United Nations Office on Drugs and Crime (UNODC) in Nigeria has urged the country not to criminalise the substance stressing that marijuana is a miracle drug allowed for medical reasons by the global body, adding that it is not for recreational purposes. Does CBD Show Up On A Drug Test ? CBD Vape Oil: Uses, Health Risks, Benefits and Side Effects CBD Oil Drug Test How Long Does a Weed High Last?